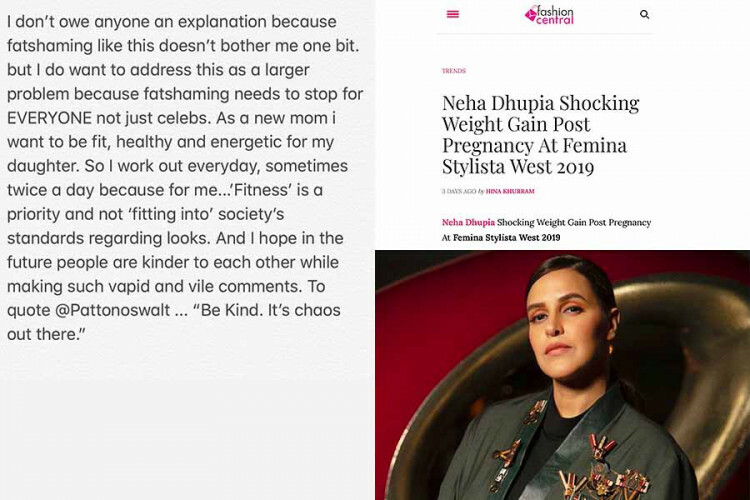 Neha Dhupia, who welcomed her daughter last year in November, has slammed media report saying ‘shocking weight gain after pregnancy’ for her appearance at a fashion show. On her support is filmmaker Karan Johar, actress Sonam Kapoor, and husband Angad Bedi. In a post on Instagram, Neha cleared that she is not bothered about being fat shamed. Further Angad Bedi tweeted "this is the maximum coverage you’ll ever get."